Ryan Abbott played four AFL games in his first year at the Cats. Ryan Abbott has put his hand up for a round one AFL berth with a best on ground performance in the VFL on Friday night. The ruckman was the most influential player on the ground in the Cats’ practice match victory. With the AFL match against Collingwood just around the corner, Abbott only played three quarters of game time, but still managed 15 disposals, four marks and 21 hitouts. Abbott believes that after two solid performances at VFL level, he will be ready if called up to Chris Scott’s side. “I would like to think I am ready to go right now. It was part of our thinking about why I wanted to play (with the VFL side again) because only playing one game of VFL before an AFL game, I didn’t think was enough,” Abbott said. Whether he gets picked at AFL or VFL level this Friday night, the 27-year-old is happy to be fit and firing after a preseason interrupted by hamstring issues. “I missed the pre-Christmas portion of preseason, but since January it’s been a gradual progression,” Abbott said. Over the two VFL matches, Abbott has played in a variety of positions on the ground, including a more defensive approach on Friday night. This versatility is not only important for his own development but with the Cats’ depth in the ruck department, Abbott knows he may have to share the ruckwork duties at both levels. “There are a few different setups they’ve experimented with over the pre-season,” Abbott said. Abbott’s work at ground level has improved drastically and he looked more like a rover than a ruckman at times on Friday night. 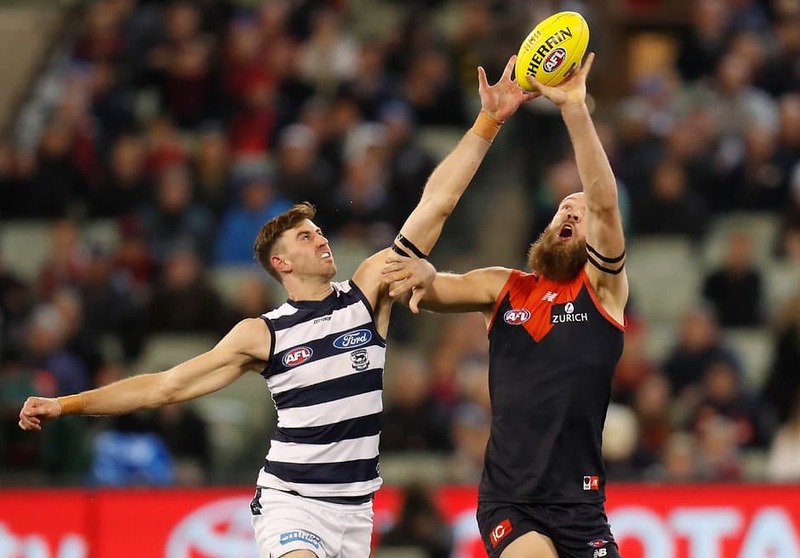 The Grovedale product contributed this largely to the new ruck rule in which ruckmen can grab the ball out of a ball-up with more freedom than in previous years. It is something which all of Geelong’s talls have been working on and was evident on Friday night as Darcy Fort and Abbott were the two leading possession winners on the ground. “I don’t know how other ruckmen are going about it, but I feel it is a strength of mine in particular,” Abbott said. “Darcy Fort does it really well and Rhys (Stanley) is doing it well too, there is just less risk around grabbing it out of the ruck now.